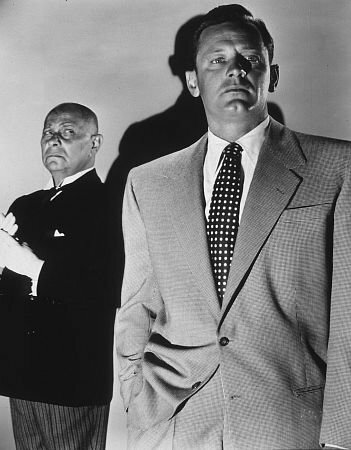 But for me, when I think of Sunset Boulevard I always focus more on Joe Gillis, our unlucky writer. As I said already, the first time I saw this film I was about to move out to Los Angeles and chase my dream as a screenplay writer. This gem of a movie was a wake-up call to me about everything that could go wrong and it blindsided me the first time I saw it. Let’s run with that- “Blindsided” is the perfect way to describe the reaction it caused. It was just like a car turning into me and I didn’t see it coming at all, only realizing it happened after I opened my eyes in the hospital; that is the “impact” this movie had on my psyche. Recently, I showed the movie to my wife, it was her first time seeing it; stating it was nothing like she was expecting. I, typical to form, walked away from the screening filled with questions, doubts and hints of sadness around my choices as a writer. When we first meet Joe Gillis he is a has-been as a writer. His agent won’t take his calls; he is behind three months in his rent; he is trying to sell ideas that are more generic and standard as compared to artistic (he just needs the money); and a collection agency is following him, trying to get his car. It gets so bad that he begins begging to everyone he can; it’s so painfully pathetic that even after a producer tells him no on a story, he then turns around and asks for money. Like I said, it is pathetic… and he, at this point in the film, represents everything I dreaded about embracing my writing career. Personally, I don’t know what scared me more, the idea of being driven into abject poverty by my dream or sacrificing my artistic integrity for the possibility of financial security; but there on that screen are both possibilities played perfectly before me. So Joe Gillis was in the back of mind each day I was living in Los Angeles. It’s why, in many ways, writing was always my second job, never my first; I always put my trust in something more 9 to 5, than a blank notepad. No, I could never put my trust solely in my art to sustain me no matter how many awards I won. I didn’t want to end up as Gillis, and when I pushed my work, it was never with the intensity of others who needed the sale to survive. I didn’t want to end up pleading to sleep on someone’s couch like Joe. One of the things I do love about Sunset Boulevard is that it shows all of the sides of Hollywood, and it is still accurate to this day in many ways. From bigwigs to the crew to the people struggling to the stars to the has-beens. Not one section of the population is missed around the picture industry in this brilliant script. In the character of Betty Schaefer this is represented the best. She is a third-generation Hollywood resident, with each of her forebearers having ties to working behind the scenes in movies. She even tried once to make it as an actress (as she explains in a nice little speech in the film), before accepting it won’t happen and becoming a reader for Paramount, which means she reviews submitted screenplays all day, writing little reviews, and making recommendations. Billy Wilder seems to relish in showing us the workings of Hollywood (good and bad), and he does it throughout the film. In one ingenious and playful moment, you have a character jokingly telling party attendees who work as extras in movies that extras only get a few drinks from the punch at his party. The great irony? Those “extras” are real extras. 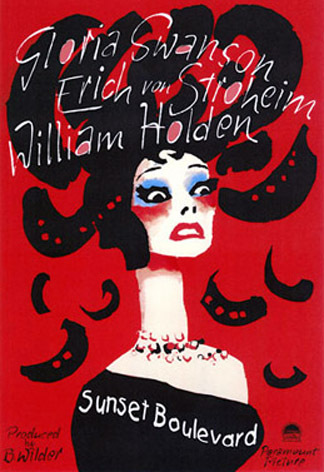 Gillis’ life changes when he meets Norma Desmond; and over the course of the film he changes, drawn into the life style as her plaything, enjoying her lavish presents; but required not to write what he wants or leave her presence, giving up a part of his identity in the process. He belongs to her, but what he gets out of it is security like no other. And the choice he makes for that rich lifestyle, I can see others making. Heck, if desperate enough I could see myself making at an earlier time in my life. The fact is Joe’s struggles as a downtrodden writer are painful for me to watch even to this day, they haunt my dreams, and they influenced a lot of the decisions I made around my writing. In other words, I will never trust my writing to put food on the table, nor will I ever put my writing on the line to sustain me. My creativity and output is forever separated from my basic needs, and that is because of this film. To me, there are few things more glorious than the feeling of being inspired. When I have a great idea, I lose time, I forget to eat and sleep, I become completely and utterly absorbed by my spark, and I will run with it until it fades out. Also, the fact is when a writer/artist finds something inspiring they are prone to make stupid decisions for the sake of the idea. For Joe Gillis there are warning signs after warning signs that Norma is not completely right in the head. Even Max, Norma’s first husband— now butler and protector—tries to help Joe; but Joe doesn’t listen. Joe’s inability to listen to people around him is one of his character trademarks. There are even moments when another character wants to tell him something and Joe cuts away before they can start (Joe is the narrator, he controls the story). Joe’s inspiration that drives the story to its tragic ending comes via Betty. Joe at the beginning of the movie has every reason to hate Betty; frankly, all writers have a reason to hate Betty! As a reader at a studio she is that line of defense between a writer and a producer, she is the one you have to get passed to find success. When Joe first meets Betty she dismisses his writing to the producer that is interested in his story; in only a few sentences she takes all of Joe’s work and hopes and dashes them in one of the coldest moments in the movie. Over time Joe and Betty’s relationship heals. Joe finds her a muse, inspirational and they begin to work on a screenplay together; at secret, at night, after Norma is asleep. Joe can’t help himself, his inspiration, his driven creativity is controlling the decisions, and it leads to his falling in the end. As a father of two and happily married, I’m not in a position to allow myself to get carried away with an idea anymore. Luckily, because of Sunset Boulevard so long ago I learned how to work with my own creativity better. I try to work with a schedule more (planning my time to create), take notes more as compared to allowing myself to sit down and let the creativity just flow. I can get the gist down of an idea, without losing time or too much of the spark I will need later. I learned that trick because of Sunset. I’ll be honest, maybe if my livelihood was more on the line maybe I would have tried harder or had more successes in the field. And who knows what inspiration would have come from that? But those questions really will always remain in the great pile of “what ifs” and unless someone builds a time machine soon, they will stay there. People that live in the past, never move forward. …or did I just escape my own Norma and not realize it. If you liked reading my article, why not check out some of my books? I had four novels published in the last few years, the new A Jane Austen Daydrean, Maximilian Standforth and the Case of the Dangerous Dare, My Problem With Doors and Megan. You can find them via my amazon.com author page here. Thanks for reading! This entry was posted in Film, Life, Writing and tagged A Streetcar Named Desire, Arts, Billy Wilder, Black-and-white, Blanche, Classic Movie, Creative Writing, Dreams, Filmmaking, Gloria Swanson, Joe Gillis, Life, Movie industry, Norma Desmond, Oscars, Screenplays, Struggling, Studying, Sunset Boulevard, Thriller, William Holden, Writing by Scott D. Southard. Bookmark the permalink.